Book and deposit before 31 January 2019 and save a flight credit of up to US$1200 per person (or equivalent currency) - depending on departure date. The applicable flight credit will show during the booking request process. You may feel, as we do, that if you make the journey to the bottom of the world you may as well stay awhile. On this far-reaching expedition to the islands of the South Atlantic Ocean and the Antarctic mainland, you will revel in 19 eye-popping days of exploration. Busybody penguins in rookeries by the thousands, behemoth icebergs reflecting startling greens and blues, humpback whales feeding on krill and of course the continent-sized sweeping ice sheet of Antarctica. Overview This is a most extensive Antarctic expedition. 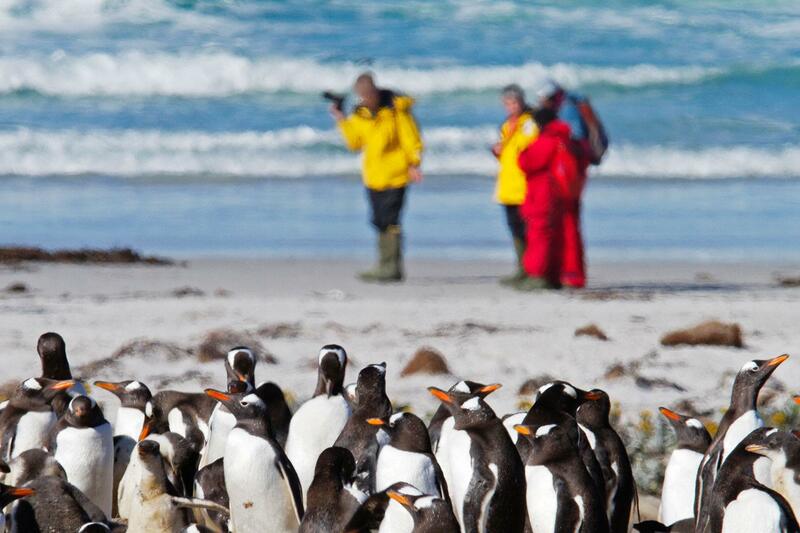 Depart from Ushuaia and make your first stop in the Falkland Islands. Here is a relatively warm climate where an abundance of unusual wildlife thrives. 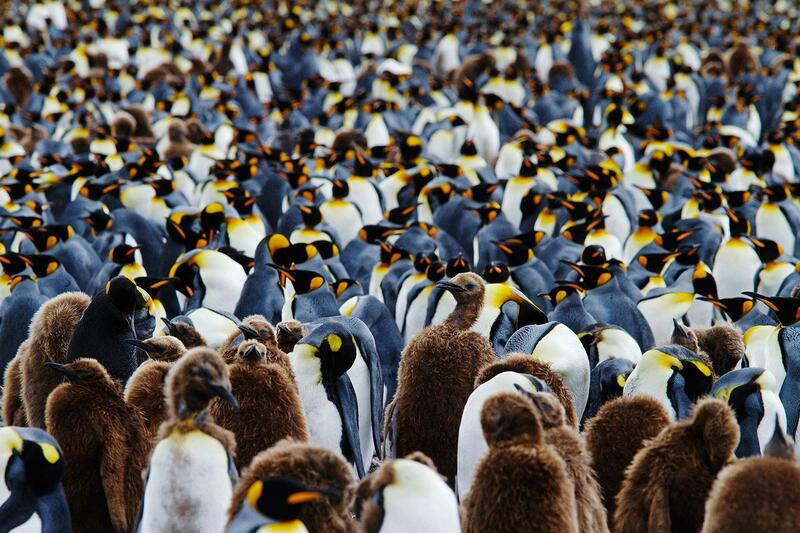 Sixty species of migratory birds and the rare rockhopper penguin inhabit these islands. 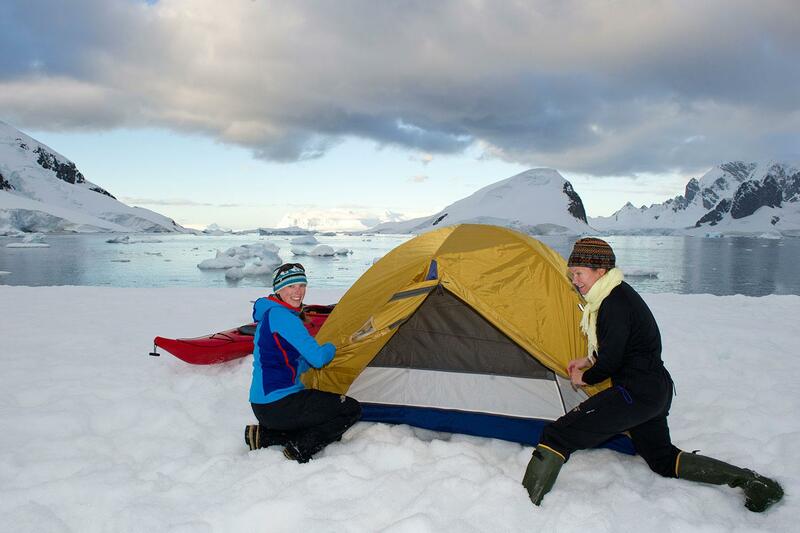 Continue through the Antarctic convergence to the pristine island of South Georgia. 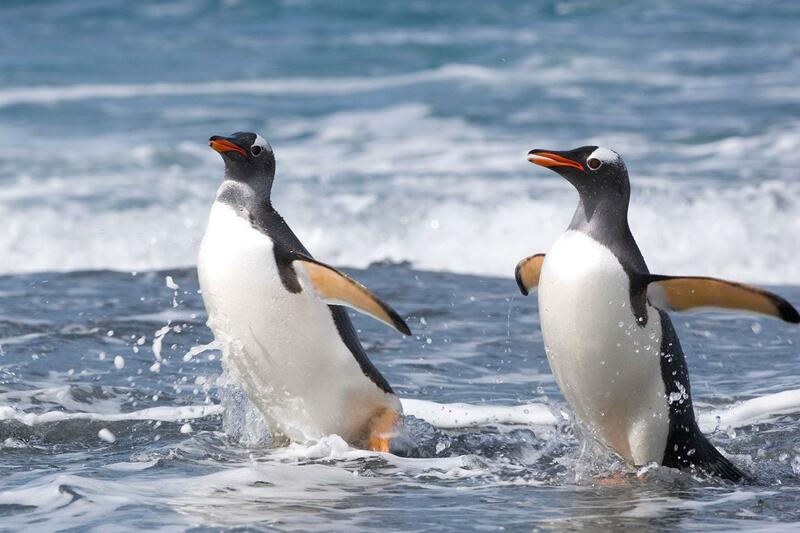 Towering glacier-covered mountains are merely the backdrop to spectacular wildlife sightings including rookeries of the pompous king penguin, several seal species and the laughable macaroni penguin. We hope to see the South Orkney Islands, often cloaked in mist, as we make our way to the South Shetland Archipelago and Antarctica. We all experience a deep sense of awe when we first glimpse the much-anticipated continent. 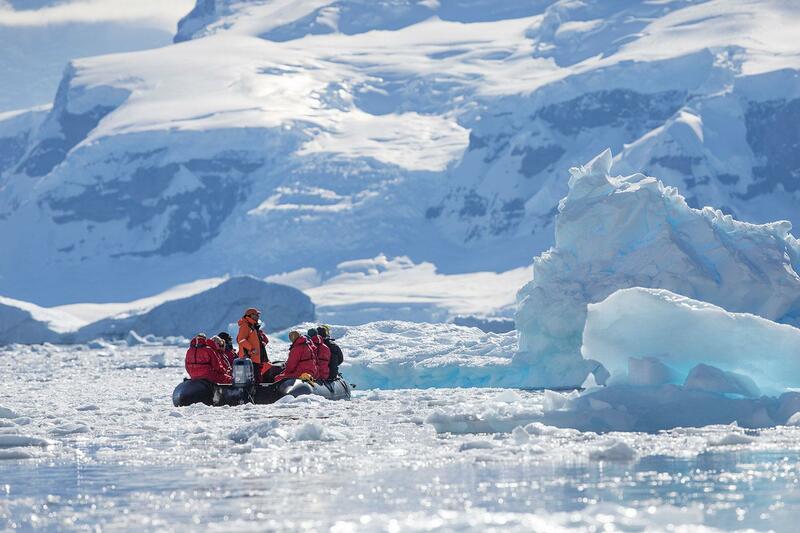 Even our leaders, who have led more than a hundred expeditions, are still overcome by its formidable beauty. We are greeted by thousands of icebergs that look like modern art sculptures lining the bays of Paradise Harbour or Hope Bay. Meanwhile an overwhelming profusion of wildlife is on display from penguins torpedoing through the water to predatory leopard seals staking their claim on ice floes. We hope to stand on the mainland of the White Continent itself. From this vantage point, it is easy to understand why legendary explorers such as Roald Amundsen and Sir Ernest Shackleton were so captivated by this haunting region. As with all our voyages, safety is our top priority. For that reason weather, ice or other conditions may require us to change our itinerary and shore excursions as we go but that is half the fun of Polar exploring. Predictability is a word that has no relevance in this environment. Day By Day Expedition Itinerary Day 1 / Ushuaia Today is the first day of our adventure. As we board the vessel in Ushuaia, the world's southernmost city near the tip of Argentina, and start to become familiar with 'our home' for the next 18 days we cannot help but wonder about the exciting journey ahead of us. In the early evening, we set sail and begin our voyage leaving behind Ushuaia and charting a course through the Beagle Channel. 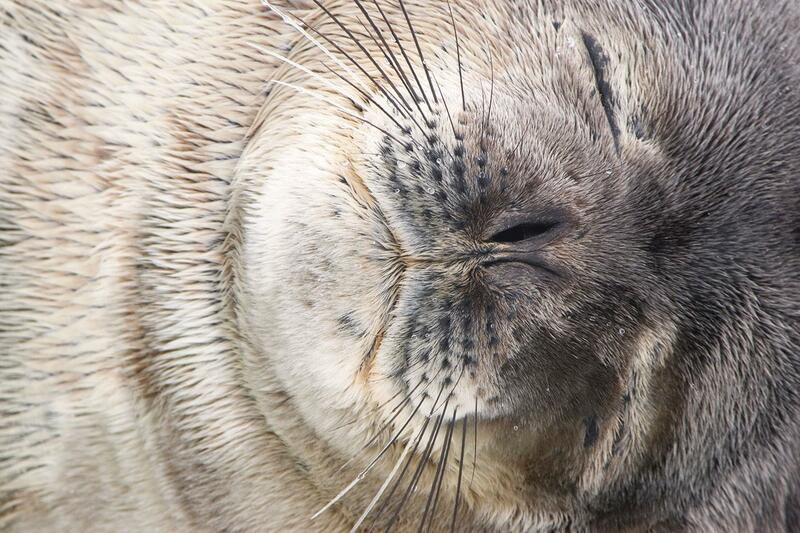 Day 2 / At Sea Our guests have the chance to spend plenty of time with our onboard polar experts. They will be educating us as we go on the wonders of Antarctica. Sailing northeast, we will likely be joined by swooping seabirds including the wandering albatross, who we will come to know well on this journey. Days 3 - 4 / Falkland Islands Arriving in the Falklands overnight, by morning we are all excited to make our first shore excursion. 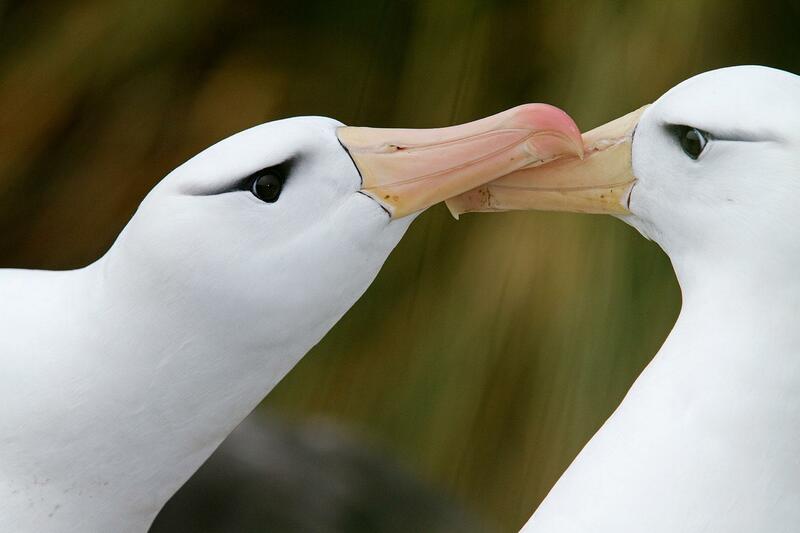 Our plan will be to explore the islands of the West Falkland Archipelago, home to a profusion of seabirds and migratory birds including the black-browed albatross. Our first penguin sightings will be on the island of West Point with its bustling rookeries of rockhoppers. On Carcass Island, we will observe nesting Magellanic penguins along with oystercatchers, geese and the flightless steamer duck who is a permanent Falkland resident. 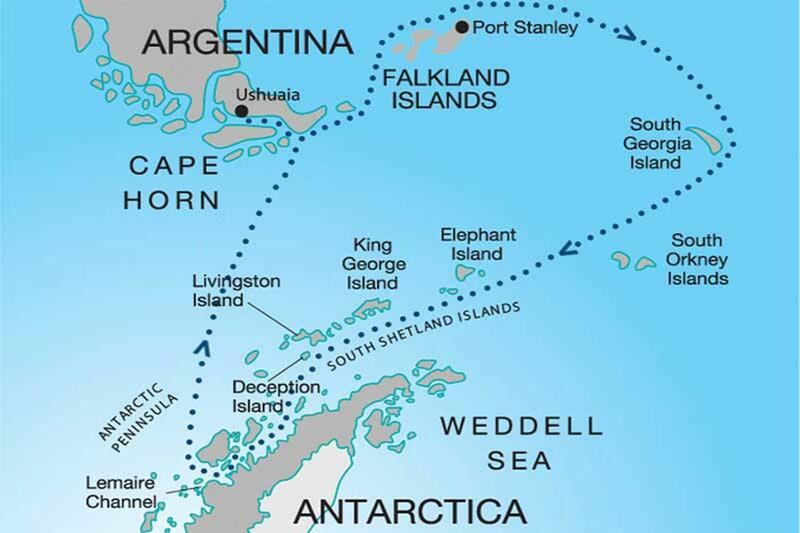 The next day we will make a stop in Stanley, the capital of the Falkland Islands. As we wander through the charming streets of brightly painted houses, we will learn how this quiet harbour was once a major port in the 19th century for ships attempting to round the formidable waters of Cape Horn. We will also make a stop in Stanley's famed philatelic museum with its impressive collection of historic stamps. Days 5 - 6 / At Sea Now we sail southeast bound for the island of South Georgia. These days at sea are never dull. Much of our time is spent scanning the horizon in search of whales and other marine mammals as well as seabirds. Our friendly onboard experts continue to fill minds with heroic stories of some of the earliest daredevils to explore Antarctica. We will also learn about Polar conservation - a theme particularly close to the hearts of our One Ocean Expeditions' guides and crew. The anticipation grows particularly as we cross the Antarctic Convergence and notice a dramatic drop in temperature. Days 7 - 9 / South Georgia Majestic snow-covered mountains greet us on the island of South Georgia - the most rugged island in this region. We will cruise the protected waters of the eastern coast looking for suitable landing spots such as Salisbury Plain and St Andrews Bay. The highlight of both these excursions is the mind-boggling abundance of king penguin adults and young that live in these locations by the hundreds of thousands, covering every inch of the shore. That is not the only wildlife on display. Fur seals can be seen poking their heads above the water, skuas and giant petrels swoop in the skies above, and the albatross our constant companion is never far away. We hope to explore an old whaling station at Grytviken (Greet-vik-in) and visit the grave of the most famous Antarctic explorer, Sir Ernest Shackleton. Days 10 - 12 / Sea and South Orkneys As we cross the Scotia Sea, sailing ever closer to Antarctica, we hope to visit the South Orkney Islands. Linked to the Antarctic Peninsula by an enormous sub-marine mountain range these islands, often shrouded in mist, are protected by large icebergs and sea ice. If we are lucky, there will be an excursion to Coronation Island to observe penguins nesting in moss beds alongside graceful snow petrels. We may also stop at the remote island of Laurie and visit the Argentinean meteorological station located there. Days 13 - 16 / South Shetland Islands and the Antarctic Mainland Elephant Island, en route to the South Shetland Islands, will be our next destination if conditions are suitable. Here, we will learn more about the famous Antarctic adventures of Sir Ernest Shackleton. This island was a place of refuge in 1916 for Shackleton and his crew after his ship was destroyed by pack ice in the Weddell Sea. 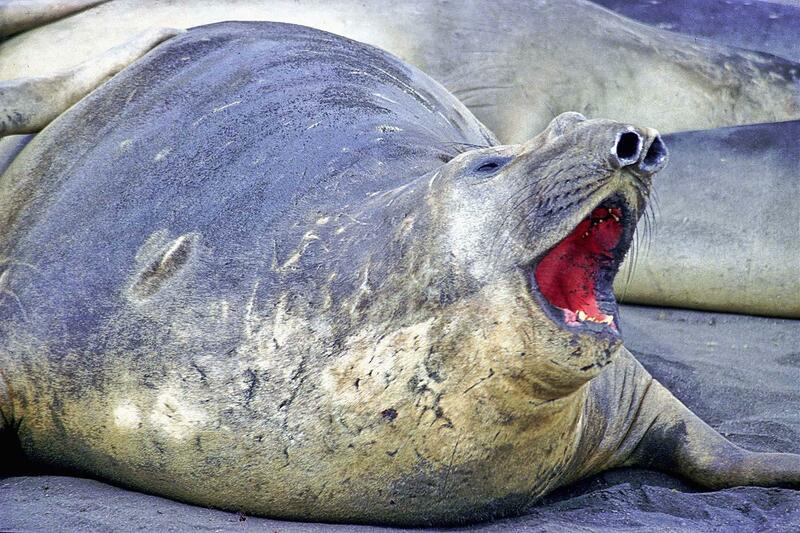 Next, we will spend some time cruising among the South Shetland Islands just off the Antarctic Peninsula. Dazzling wildlife sightings await us on our excursions to some of these islands including King George, Half Moon, Barrientos or Livingston. Adelie, chinstrap and gentoo penguins thrive here, as do several species of seal. We even hope to see the gentle humpback whale dining on krill off King George Island. Weather permitting, we will visit the flooded volcanic caldera of Deception Island. With rugged scenery, great sites of geologic interest and an overwhelming display of whaling and scientific exploration history, Deception Island is a perfect museum of natural and exploration history. For those wanting to stretch their legs, a spectacular hike to the crater rim offers a challenge. Finally, after so much anticipation, we will arrive at the Antarctic mainland in Paradise Harbour or Hope Bay. 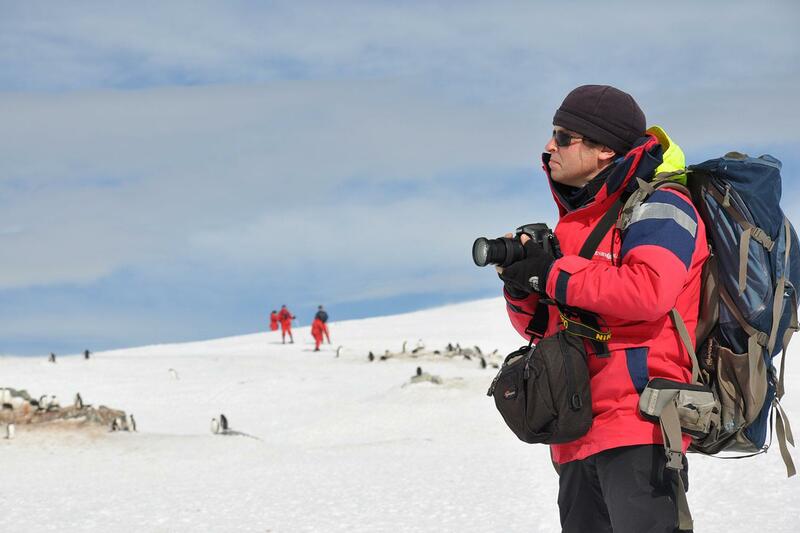 The scenery here from the colossal icebergs to the seemingly endless Antarctic ice sheet is truly breathtaking. Weather permitting, we hope to undertake a shore excursion and set foot on the White Continent itself. Day 17 - 18 / Drake Passage As we leave this magical place and make our way back, heading again across the Antarctic Convergence and the Drake Passage before rounding Cape Horn, we have no doubt that time will be spent sharing and reflecting on the wonderful experiences of the last few days. Sailing up the Beagle Channel, we celebrate the conclusion of our Polar expedition at a special dinner. Day 19 / Ushuaia In the early morning, we will arrive back in Ushuaia. It is time to say farewell to your crew and fellow travelers. Guests will be transported to their hotels or to the airport for return flights home.